In February, Idaho Public Television officially launches its fifth broadcast channel — and this one is packed full of educational programs for kids, airing all day and night. 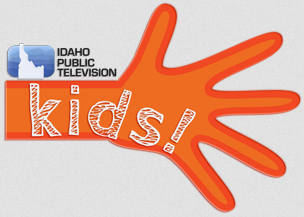 The Idaho PBS KIDS Channel will be available for free on channel 26.5 in the Idaho Panhandle and on channel 12.5 in the Palouse/Camas Prairie region. On Feb. 1, you may need to “rescan” your television or digital receiver to add the new channel. The channel is already streaming live on the IdahoPTV website (idahoptv.org/kids). The online experience offers an integrated games feature, enabling children to toggle between a PBS KIDS show and an educational game that aligns with the learning goal of that show. Programs on the new channel include favorites such as Daniel Tiger’s Neighborhood, Wild Kratts, Ready Jet Go!, and Splash and Bubbles. It also includes PBS KIDS favorites not currently available on IdahoPTV: Fetch With Ruff Ruffman, Cyberchase, WordWorld and others. The channel will also be home to the newest PBS KIDS creation, Pinkalicious & Peterrific, when it premieres on Feb. 19. Based on the book series by Victoria Kann, this new series encourages children ages 3-5 to engage in the creative arts and self-expression, covering areas such as music, dance and visual arts. The Idaho PBS KIDS Channel is made possible thanks to founding sponsors who support 24/7 educational programming: CapEd Federal Credit Union, Albertsons, IDeal – Idaho’s 529 College Savings Program and Blue Cross of Idaho Foundation for Health. Preparing for Hospice Care: When is the right time to call Hospice?